How do you learn? I learn through doing; a-ha..! Knowledge applied through reflection of a real life experience. 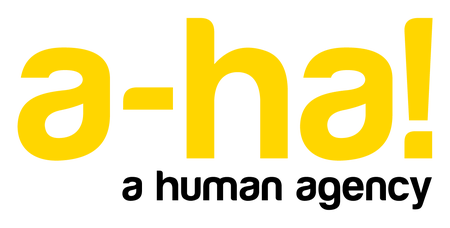 Those ‘A-ha!’ learning moments come for me, more often than not, when I’m doing or trying something out; experimenting for myself or more crucially doing it with others. We see that magical ‘aha’ moment a lot when students bring a problem or an idea to work through together in the Ideas Labs we run weekly in the Learning Zone during term time. Working on your own idea is a motivated process of being willing to challenge your dearest held assumptions, experimenting to apply knowledge you have or new knowledge you have found, joining the dots to make sense of what’s needed to move forward and validate an idea as an opportunity. It’s about the search for desirability, feasibility and viability of a solution users want, need and will pay for; even just paying with their time; whether it’s a project, a social enterprise or a business venture of some kind. The Teaching and Learning Studio at Stanford University is a place where educators from all disciplines experiment with new ways of engaging students using design thinking and experiential learning to solve wicked problems. The studio supports educators to develop strategies that help students develop skills and mindsets for the 21st century and I was very fortunate to be an awardee of the EEUK Richard Beresford bursary, a personal development fund for educators, which part funded a trip to the studio for the learning trip of a lifetime. I want to learn to facilitate more of those ‘A-ha!’ learning moments for students who come to the Enterprise Team’s Ideas Labs sessions. It’s about creating the environment for students to ‘try on’ mindsets and behaviours; practice being curious, resourceful, imaginative, questioning norms and assumptions, observing, ideating, making connections and big leaps to confidently create new solutions; seeing failure along the way as as the stepping stone to the next experiment…and that’s a tough one for us all to ‘try on’ in our practice. It’s about the quest to develop all students as creative problem solvers; ‘innovators’ in every discipline. This skill, rooted in creativity is needed in every shape and size of organisation to remain competitive and for employees, leaders and entrepreneurs to continue to find ways to create new value. So what is Design Thinking and how does it relate to designing learning and facilitating learning experiences and how an it be used as a pedagogical tool? Design thinking is a mindset. It is optimistic, collaborative, human centred and creative and it’s experimental. It’s the confidence that everyone can be part of creating a more desirable future, and the design process empowers people to take action when faced with a difficult challenge. That kind of optimism is well needed in education and in students heading out into a challenged global environment. Design thinking is a team sport and through small design challenges we and our learners can learn the attitudes and mindsets to collaborate and create, experimenting by framing a learning through design challenge, unpacking assumptions about the challenge or problem, exploring the problem space with users, defining a point of view about the challenge. 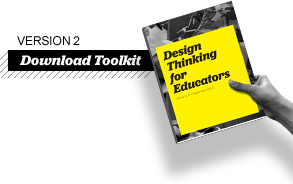 The Design Thinking Toolkit for Educators contains the process and methods of design. Developed by the global design company Ideo, (Founded by David Kelley who also founded Stanford’s d.School). The toolkit offers new ways to be intentional and collaborative when designing educational experiences, and empowers educators to create impactful student centred learning solutions, but also to integrate design thinking into problem based learning as a creative problem solving process. The process empowers students to get creative, starting by solving simple human centred challenges to prepare them for tackling seemingly insoluble challenges. What was woefully missing in my education, and my daughter’s after me, were those serendipidous ‘A-ha’ moments in learning, and it’s this creative, human agency, I now believe that is at the heart of our work as educators. We have a short window of opportunity to intentionally develop learners as creative problem solvers, innovators and value creators beyond their discipline; skills for living and for lifelong learning. My thanks first to Humera Fasihuddin, (Maker of movements that start small) Co-Director, University Innovation Fellows at Hasso Plattner Institute of Design at Stanford ( d.school ) for answering the call to learn from ‘Creative Confidence’ and calling in to Lancaster University to kickstart our movement. You made possible a world of change in us that day and for the creative confidence of many more in the future. Thank you to Enterprise Educators UK for part funding this learning experience with the Richard Beresford Bursary. More details on how to apply here. Teaching innovators can download Design Thinking for Educators here. Sir Ken Robinson’s ‘Whats the point of creativity at University’ here. What really matters most to you in life? Web design author and ex-marketing strategy consultant Ben Hunt asks ‘Why do we do what we do? Really… what is the ultimate point? Is it just to make money? If so, exactly how much money is “enough money”? Is it to make a better world? If so, what does that world look like exactly? Is it to be remembered as important? If so, what do you want your obituary to say? When you know what you stand for, what you stand against, what you value, what you don’t care for, the people or causes you wish to champion… you actually discover yourself. And when you do that, your whole life becomes simpler, and your choices become easier. You stop chasing and start building, because you know who you are, who you wish to become, and you can see the path from here to there. You’ll also be able to spot the kindred spirits who can help you along your way. Perhaps you and I are kindred spirits? For me, I find this 23-minute video incredibly inspiring. It’s the late, great John Seymour, the father of modern self-sufficiency, and he puts into words his view of the world, and what progress means, in a way that I could never do. You can register for Ben’s website and blog here. Favourite Read of the Week from Strategyzer’s Nabila Amarsy. What: Employers in the 21st century are pressured to evolve rapidly and innovate at the risk of being outcompeted if they are too slow to react. IDEO’s Tim Brown advises leaders in education and industry on how to instil creativity in their organisational culture. Why: It’s not necessarily about bean bags, ping pong tables, and free food. Empowering our staff and students to be more creative requires a deep cultural change. How: Find out more in Tim Brown’s podcast on the Harvard Business Review. And… In his talk ‘What’s the point of Creativity at University?’, internationally influential thinker on education and creativity Sir Ken Robinson also considers how higher education institutions might play a greater role in developing the creative capacities of all of their students. It’s thought provoking, entertaining and well worth a watch. See the the long version here and the highlights from the talk here. It is important to start with a clear definition of what we mean by creativity, as there are two completely different types. The first is technical creativity, where people create new theories, technologies or ideas. This is the type of creativity Ken Robinson and Tim Brown are referring to. The second is artistic creativity, which is more born of skill, technique and self-expression. You can explore more about understanding creativity and practical approaches to it here. Jonah Berger is a marketing professor at the Wharton School at the University of Pennsylvania. He is also the author of the New York Times and Wall Street Journal bestseller ‘Contagious: Why Things Catch On’. Jonah has published dozens of articles in academic journals whilst consulting for a number of different Fortune 500 companies. He has spent the past 15 years studying social influence and how it causes ideas and products to go viral which has lead him to become one of the world’s leading authorities on the matter. 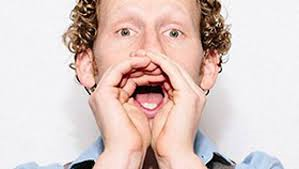 In Contagious Jonah Berger explains how influential word of mouth is in the decision making of consumers. Word of mouth he says is so big because people love to share things with those around them and what those around us say influences everything we do, say, read and buy. It is actually the biggest contributor to virality over anything, being the primary factor for twenty to fifty percent of all purchasing decisions. The main reasons for this are a) We are much more likely to listen to what our friends say about a product over an advertisement. This is because ads are biased whereas our friends will tell us what they honestly think. b) Word of mouth is also targeted, so we are unlikely to tell our friend about a product they have no interest in but will tell them about a product related to their interest. c) Even when ads are directed at an interested audience, the audience may not need the product the ad is pushing as they already have it. So that is why word of mouth is influential, but how can we best use this to our advantage? People love to look cool and disclosing information about the self is intrinsically rewarding, this is probably because about forty percent of what we talk about is our own personal experiences and preferences, so if your product can provide social currency you’re onto a winner. a) Find inner remarkability – The fact is people love talking about remarkable things, which is why you will need to make your product or service surprising, novel or interesting. When people share remarkable things with others the story gets exaggerated and details are lost in order to make people look better. This leaves the core details of your product and the more remarkable they are the better. Offering things that are deemed impossible, mysterious or controversial are great ways to find inner remarkability. b) Leverage game mechanics – This is literally incorporating a game into your product or service. The best example of this is the McDonald’s Monopoly which happens every year. It is so effective because it is a challenge to win prizes which everyone enjoys, you have the opportunity to achieve things which entices people, it also enables you to compare your progress with others and it gives you the opportunity to boast to your friends about how many of the tokens you have or how close you are to getting all of one colour. Being able to look good in front of people increases social currency tenfold. c) Make people feel like insiders – If you can make people feel like they are part of an exclusive club or they gain perks from being a part of your service this can increase social currency massively. Examples of this are secret bars, listing products as limited edition or having a membership providing paying customers with perks non-members don’t get. What word of mouth do you want? Before we get into the next principle it is important to mention that there are two types of word of mouth, immediate and ongoing. Opening a funny email and telling your friend next to you would be immediate word of mouth but ongoing word of mouth would be talking about something or using something weeks or months after you first heard about it. Different products and services rely on different types of word of mouth, movies for example rely on immediate word of mouth as they are trying to sell big when they release, an anti-bullying campaign on the other hand would be ongoing as they are hoping to cause ongoing change to stop people bullying. When something is remarkable or interesting it is very good at getting immediate word of mouth but research has shown that there is no difference between an interesting and boring product when it comes to ongoing word of mouth. So what causes the difference? Top of mind – There are always things which are more top of the mind than others. What is top of mind is influenced heavily by what is around us or what we are fanatics about, a football fan may always have football at the top of their mind because that is what they love. All of the things in our surrounding environment that our senses pick up trigger what is at the top of our mind. These triggers can be both direct (smelling pizza so thinking of pizza) or indirect (seeing a jar of peanut butter and thinking of jelly). The reason we want to trigger things to be at the top of people’s minds is because those accessible thoughts turn into actions and ultimately sharing. a) If something is used every day it stays at the top of the mind which leads to it being at the tip of the tongue. You want a product that is triggered by your everyday environment, the more interesting the better but that doesn’t matter as much as triggers as products that are triggered more frequently get 15% more word of mouth. b) Another thing you can do is to have your product link strongly to something else that is frequently used, just like peanut butter is strongly linked to jelly. Take note however that the link must be unique and strong, red and coca cola go together but you will probably think of other things first when you see the colour red. c) You also need to consider the context, so think about the environment of the people a message or idea is trying to trigger. Different environments have different stimuli, so certain triggers will be more effective depending on where people live. The 100 dollar cheesesteak would not have worked if it had been outside a city famous for its cheesesteaks for example. Social Currency gets people talking but triggers keep them talking. Now you will have noticed so far that the more we see things the more we are triggered by them, which leads us to the next principle which is making your product public. For a product to be public it needs to be visible to other people. We are always looking to others for information on how to behave, what to wear, what products to use so it makes sense that we are more likely to buy something that we see other people using, as the product has social proof. Apple for example made the decision to flip the logo on their laptops. Originally the logo would appear the correct way up to the user when they closed the laptop however it would appear upside down to anyone observing that person use the laptop. Now this made it difficult for people to see what the laptop owner was using as it wasn’t designed to look good to others. Noticing this Apple flipped it so other people could see the logo the right way up. They decided that having it look good to other potential buyers was more important; this gave the laptop social proof and also massively increased their sales. The more visible a product is to observers the more likely we are to buy it. So what happens when your product is not a public product, but a private one? The fact of the matter is people are more likely to be influenced to buy a t shirt than a tube of toothpaste; simply because of the amount of social proof that comes with a public product (t-shirt) over a private one (toothpaste), and that we very rarely see the brand of toothpaste people use. This does not mean however that we cannot make something that is private public. A fantastic example of this is Movember, which helped to spread the awareness of prostate cancer. By growing moustaches randomly, which is both unusual and visible, it sparked people to ask those with moustaches why they were growing them. They would then be informed of the reason and the cause behind it. 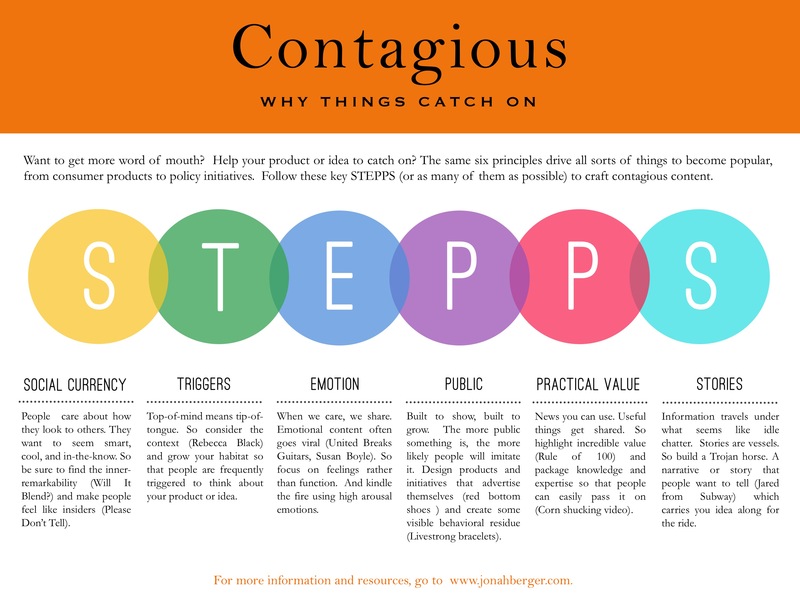 So we have looked at social currency, we have looked at triggers and we have looked at making your product public, what else is there to make your product go viral? Emotion has been known for quite a while to be an effective tool for spreading word of mouth however it has always been quite hit and miss. Originally researchers thought that the reason emotions were so effective at spreading word of mouth was because they made us feel good, so things like awe, excitement and contentment all caused us to spread the word. When actually running experiments with different emotions researchers found that there was an increase in word of mouth from both positive and negative emotions just like sometimes where there would be no effect whatsoever. So what is the reason for this? Why do some emotions cause virality and why don’t others? The general conclusion is that for an emotion to cause word of mouth it needs to cause a state of high arousal, regardless of whether that emotion is a positive one or a negative one. Emotions that do this are those like humour, excitement, awe, anger and anxiety. Emotions that cause low arousal such as contentment and sadness do not cause virality. The reason high arousal emotions work is that they make us take action. You are not going to take action when you are sad or content as you are relaxed and slowed right down whereas anger, anxiety or excitement raise the heart rate like fight or flight and make you much more likely to talk about or share something. So, next time you try to get your product to go viral have a think about the boxes you need to tick. Does your product make people look cool and provide them with social currency? Will your product be triggered often enough for people to think about it? Does it cause high arousal emotions? And is it in the public eye? If not how can you go about making it public? Doing all of these things can set you up a very powerful marketing campaign and give you an edge when it comes to marketing. There is more to each of these principles however and we have not covered practical value or storytelling, so after reading this, buy the book, it should really be your marketing bible. Last week I went to an event Higher Education Entrepreneurship Group event on Financial Literacy for Entrepreneurship: What to teach, and how? This event focused on what’s important for students of enterprise and potential entrepreneurs to learn about accounting and finance, and how best to teach it. It was an opportunity to discuss, share practice, get new ideas, and network with colleagues across the sector. One of the most engaging and accessible sessions of the day was by Lionel Bunting of the University of Chichester, who brought a little glitz and glamour to the more mundane aspects of business planning. Lionel showcased a creative and practical approach, designed to change the way students see and think about business problems and aspects that they’re more likely to shy away from. With his contextualised real world based exercise; a film festival, he gives students the opportunity and ability to get to grips with all aspects of planning such as operations, marketing, generating income and forecasting sales. Setting up a business can be fun, teaching students practical enterprise skills should be equally as fun. The talk and presentation was based on a case study workshop Lionel developed on the planning and costing out of a film festival event for an independent cinema. The workshop enables students to work with and develop a range of enterprise and employability skills as well as learn about a business model and sector. There were other great examples of best practice shared on the day and you can see some of them here. To hear about best practice we’re sharing on, please register with LEEN (Lancaster University Enterprise Educators Network) and to share yours drop us a line and we will happily post about it on our blog. 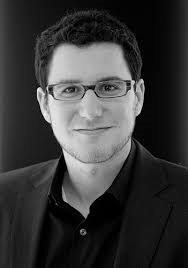 Eric Ries is a Silicon Valley entrepreneur and author of the New York Times bestseller The Lean Startup. He is an entrepreneur in residence at Harvard Business School and is on the advisory board to a number of technology startups. Previously he co-founded and served as CTO at his company IMVU, his third startup. He has also been named one of the Best Young Entrepreneurs of Tech by BusinessWeek and was honoured with the TechFellow award in the category of Engineering Leadership. The Lean Startup Methodology has been written about in The New York Times, The Wall Street Journal and Harvard Business Review as well as countless blogs. I imagine it is quite clear that today’s book summary covers The Lean Startup by Eric Ries. This book is the closest thing you can get to an exact blueprint for creating your very own successful business. It covers a number of key principles throughout, from just starting up, all the way to becoming sustainable, with everything in between. If you could only read one book before starting your business, this should be it. The book has 5 main principles which are present throughout. Entrepreneurs are everywhere and you can be one even if you don’t work from your garage. The second principle is that entrepreneurship is management. This means that a startup is an organisation, not just a product, and so it requires a new kind of management, specifically geared to its context of extreme uncertainty. So as an entrepreneur you have to learn how to steer your ship in the right direction, in very unpredictable conditions. The third principle is Validated Learning. This is to say that startups are not just there to make money, products and serve customers. They are there so you can learn exactly how to become sustainable which is done through constantly running experiments to test each part of the business. If you see that something is not working you can drop it and move on. 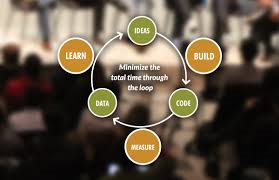 The fourth principle is Build Measure Learn. This is the process of turning ideas into products and then measuring how the customers respond to the products. Then based on the feedback from customers learn whether they should pivot or persevere. All successful startup processes should be geared to making this loop happen as quickly as possible. For creating a sustainable business this is such an important step, the quicker you learn to complete this loop the more likely your business is to be stable. The final principle is Innovation accounting: To improve entrepreneurial outcomes and hold innovators accountable, we need to focus on the boring stuff. How to measure progress, how to set up milestones, and how to prioritise work. To begin you need to know who your customer archetype is otherwise there is no point building your product. If you don’t know who your customer archetype is then you don’t know what a quality product looks like and if you can’t build quality there is no point building your product. So, to begin you need to identify who the customer is. The customer archetype will guide all of the decisions you make about product development and allocation of resources moving forward. So before you make anything, make sure you know exactly who you are making it for. Second, you will at some point, regardless of what you do, take a leap of faith. No matter the amount of market research and your confidence in your product/service you will have to make assumptions on crucial things. The important thing is to know which part of your strategy is a leap of faith. Apple had no idea that people would pay for music downloads, they only knew from Napster that people would download it for free, that was their leap of faith and it definitely worked out. Now you know who your customer is, you know what a quality product will be and you know that you will have to take a leap of faith at some point. Now is the time to actually build your first prototype. This is also known as an MVP (Minimum Viable Product) which is the most minimal product or service that you can build, the bare bones of your product. The reason you put this out there first before building the finished article is because you don’t know what your customer wants, it will take a lot of time to build something to completion that may not even work and if it is full of different features it is very difficult to measure what is and isn’t working. You need to start off with the minimum and gradually tweak it with customer feedback and metrics, which we will come onto shortly. A great example of this is the online shoe retailer Zappos. Tony Hsieh started off by going into shoe shops and asking if he could take pictures of their shoes and then put the photos on his website. If people bought the shoes from his website he would come back and pay for the shoes in full. This was literally where he started off at, a simple website with a few different pairs of shoes on. This example puts into context how little you actually need to launch an MVP, it will more than likely be embarrassing to put out there as you know you can do much better but that is what early adopters are for. Early adopters are the people who will use your product to begin with and will understand that it has bugs in and is not the finished article. These customers will give you great feedback to help you make changes and refine the product to begin with. But in order for you to utilise their feedback you need to know exactly what your metrics are saying, what they mean to your business and what to look for. Your metrics will help you find out exactly where your business is right now, this will provide you with a baseline to refer back to. When you put out your MVP the metrics you receive back will be your baseline metrics. The reason you set a baseline is so you can compare your metrics when you change a feature of your product, this enables you to see progress or a lack thereof. You can then cut what isn’t working and keep what is working one step at a time. One of the biggest mistakes businesses make with their metrics however is that they look for vanity metrics rather than what actually matters. What I mean by vanity metrics is how many website views or even email signups you have. If you have a lot of visitors but people aren’t actually signing up or people are signing up and not paying for your service then you need to know why. By just measuring these two things nothing will be explained, you might feel good about yourself in the short term but in reality you are going to focus on actions that limit your success. In order to get your metrics right you need to focus on hitting the 3 A’s. Actionable – Your metrics demonstrate a clear cause and effect relationship so that you can take definitive action in response to it. Accessible – They should be easy to understand and available to everyone in your company. Auditable – You should be able to go back to the source of the data to prove that the metrics were telling the whole story. A great example of this is Ries’ company IMVU who provided customers with a 3D avatar service where people could alter the appearance of their avatars and chat with others. Using $5 a day in pay per click advertising they were able to get 100 website visitors. They considered each days’ worth of website visitors as one cohort and then measured the metrics of each cohort on registration, so how many people signed up to the service, activation, so how many people actually logged into their account and retention, so how many people had one chat, how many people had 5 chats and how many people became paying customers. A good way to do this would be to have your metrics cover registration, activation, retention and referral information. The only way you can know if you are making the right decisions is through your metrics so if you make a change you can compare it to your baseline metrics to see if they improve or not, it is the only way to tell and the only way to know what you should and shouldn’t change. Customer segment pivot: You started the process thinking you were solving a problem for a certain type of customer however now it looks like your product works best for a different type of customer. Zoom in pivot: A singular aspect of your product becomes the entire focus of the business. Zoom out pivot: Your product is too narrow for you to maintain a business so you broaden your product to do so. Technology pivot: You realise that you could solve the problem much easier with a different or brand new technology and switch to that. It is highly likely that throughout your startup journey you will make multiple pivots and it is equally important that you keep measuring everything, just like before, constantly comparing with the baselines. Each pivot is only the next hypothesis in your business just like everything in your business plan is a hypothesis, only over time will each segment of it become clearer and clearer. Even huge companies still need to measure and pivot from time to time otherwise they too will fail. Here are 3 growth engines that you can use to scale your business. Sticky Growth Engine – This involves customers paying for the service over time, so if you are bringing in new customers quicker than your old customers are leaving then you will grow and make profit. An example of this would be a subscription model for a product. Viral Growth Engine – This is reliant on your current customers bringing in new customers. The best example of this would be Hotmail which originally was struggling to make any traction until it began to provide a link at the bottom of each email for someone else to sign up. This is known as the viral loop, if you can get each new customer to bring in another customer every time then growth will be huge. Paid Engine – The final engine is the paid engine which is literally paying for advertising. You take the profits you have made from your old customers and use them to pay for advertising. If you have followed this guide you will have identified your customer archetype, built your MVP and then tested it on early adopters. You will have established your baseline metrics, made sure they are not vanity metrics and hit the 3 A’s. You will have taken a leap of faith but knew exactly what part of the strategy was a leap of faith and you will have at some point made a decision to pivot or persevere. You will have also selected a growth engine to scale your business. Now, if you take a look back at the 5 principles you will notice that they are present throughout the different steps you have taken to build a sustainable business. Throughout this process you have got better at managing your business throughout periods of extreme uncertainty, you have improved your validated learning and quickened the Build, Measure, Learn feedback loop as well as taking care of your innovation accounting through your metrics. Now there is still much to learn which I have not covered but this should provide you with the knowhow to grow your business sustainably. If you want to read it all you can find the book here. Sir Ken Robinson is one of the world’s most influential thinkers on education, creativity and human potential. His RSA Animate ‘Changing Educational Paradigms’ galvanised thinking about the role that creativity plays in schools. In this talk he returned to the RSA as they embark on a new programme of work to explore how universities can give their students ‘the power to create’. Should higher education institutions be playing a greater role in developing the creative capacities of their students, in order to prepare them for the careers and economies and societies of the future – and if so, how? What are the major current systemic barriers and enablers to a creativity-led approach, and where are the examples of innovative practice that could show the way for others? These are questions of urgent relevance to students, educators and institutional leaders in the UK if we are to equip future generations with the skills and capacities they will need to live flourishing lives in a rapidly transforming global landscape. Content from the RSA . More on creativity from the RSA here: Mathematician and Fields Medallist Cédric Villani offers a unique insight into the creative process, and what it takes to produce breakthrough discoveries in human knowledge. As an artist or someone with a future in the Creative Industries, you will no doubt know that portfolio working is a big part of developing your practice and your contacts, and freelancing is a way to ‘earn while you learn’. On Thursday 17th March there is an opportunity for Lancaster University artists and creative spirits to meet a bunch of artists, illustrators and animators who are joining us on campus at Bowland, County and Furness Colleges, for a special alumni and student event. Creative Lancaster University Students and budding portfolio freelancers from these colleges will get a working insight into the wonderful world of sketch-noting; a style of awesome visual note-taking, at this College social event ‘Startup Stories’. The event is a collaboration between the College, JCR and Lancaster University Enterprise Centre. 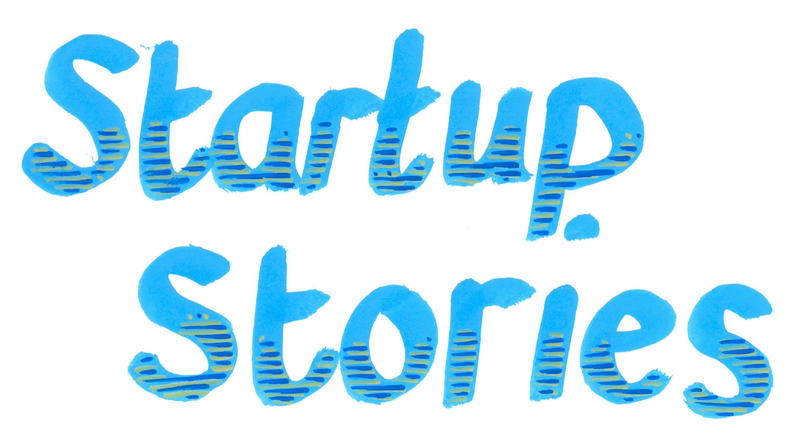 ‘Startup Stories’ is an alumni story telling event, where by alumni from all sectors return to campus to share their wisdom on the trials and tribulations of becoming self employed. Stories are sketched and captured for future students to enjoy by our friends Holly and Co. at MoreThanMinutes. After the event you’ll get a chance to meet the storytellers, the sketchnoting team, and ask your questions. 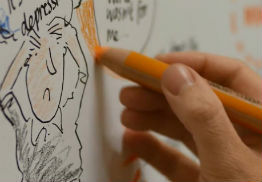 If you would like to coming along on the evening and try your hand at live sketch noting in the audience ‘Sketchnoting 101: How To Create Awesome Visual Notes’, is a really this a useful post to give you some pointers. Bowland, County and Furness college students can book by hitting the links here Bowland, County and Furness. Food and drink provided for advance bookings and it will be followed by a JCR end of term social. If you are from any other college look out for your College event on Target Connect in June and November 2016.